Tektite manufactures technologically advanced lighting products designed for extreme environments. 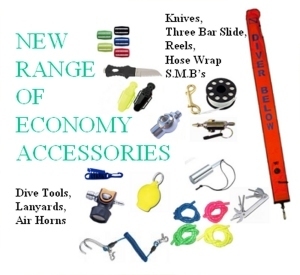 Our rugged LED torches, dive lights, strobes, and marker lights are relied upon by scuba divers, mountaineers, police officers, fire fighters, military and other demanding customers worlwide. TekTite brand lights are made in the U.S.A. and feature HIGH-TEK lamps, Engineering-grade polymers, computer-designed reflectors and other features that makes Tektite the best choice when quality, reliability and performance is required. Strobes Tektite strobes are the choice of scuba divers, militaries, fire fighters and mountaineers worldwide. Our rugged and waterproof strobes can be seen for miles at night and are designed to operate in almost any environment. Xenon Torches Tektite has the right torch for any job. Our rugged, dive-rated torches and lanterns are prepared for almost any challenge. Our powerful Trek 400 is a favorite among scuba divers worldwide; in fact, Rodale's Scuba Diving magazine gave it their Testers' Choice Award in October 2003. Quality alkaline or lithium batteries are included with our torches. LED Torches Tektite LED torches have become widely adopted because they are extremely rugged and reliable lighting instruments. Our LEDs are rated for 10,000+ hours life with the added benefit of being shock and vibration resistant. This combination of long life and reliability makes Tektite LED torches the perfect choice for demanding environments.Tektite only uses premium LEDs from the world's elite manufacturers such as Nichia, Lumileds (Luxeon) and Cree. Our specially selected white LEDs produce a soft, cool white light that delivers unmatched color rendition..